to the Peoria Civic Center February 28, 2019! 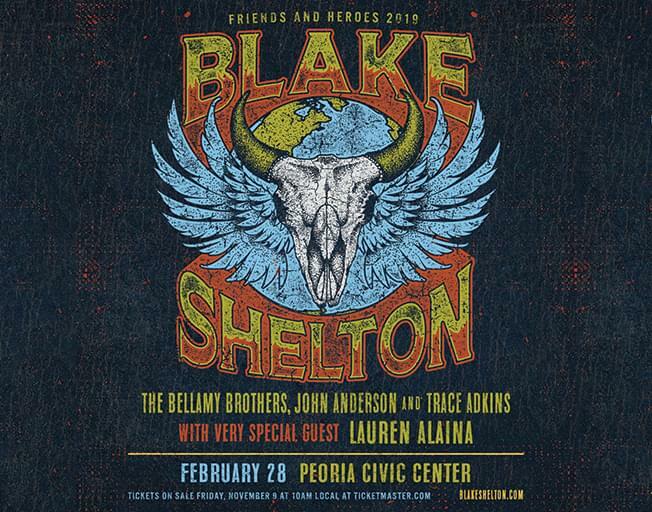 Blake will be bringing special guest Lauren Alaina with him Thursday, February 28th along with special appearances by The Bellamy Brothers, John Anderson, and Trace Adkins at the Peoria Civic Center Arena for this concert! Tickets go on sale to the general public Friday, November 9th at 10:00 am!